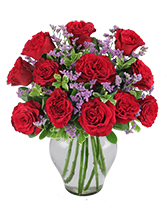 With a mix of everything pretty, this bouquet is great to give for any occasion. 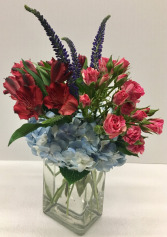 The color and flower combinations make this bouquet one of our most popular - and for good reason! 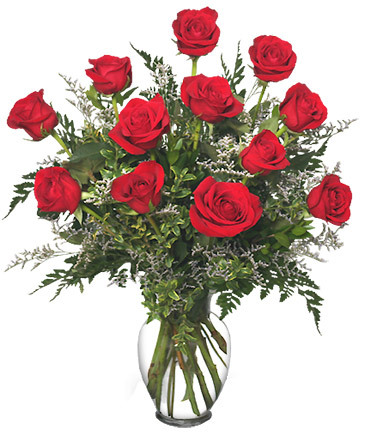 These flowers will bring a smile to someone's face and let them know they are the best! 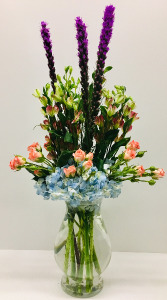 Both gentle and vibrant and bubbling with blooms, this bouquet includes hydrangea, roses, alstroemeria lilies and more in a lace covered vase. (Shown without the lace) This is an elegant option that your mother will adore. Available only in Ruidoso.